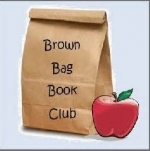 Adults are welcomed to bring a lunch and enjoy chatting about the book on the last Monday of the month from 12:30-1:30 PM. The library can even provide you with copy of the book, email Amy at interlibraryloan@barringtonlibrary.com with your name and library card number and we will let you know when your copy has arrived. New members always welcomed! 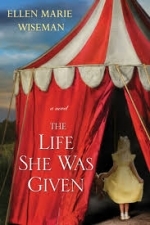 From acclaimed author Ellen Marie Wiseman comes a vivid, daring novel about the devastating power of family secrets—beginning in the poignant, lurid world of a Depression-era traveling circus and coming full circle in the transformative 1950s. On a summer evening in 1931, Lilly Blackwood glimpses circus lights from the grimy window of her attic bedroom. Lilly isn’t allowed to explore the meadows around Blackwood Manor. She’s never even ventured beyond her narrow room. Momma insists it’s for Lilly’s own protection, that people would be afraid if they saw her. But on this unforgettable night, illy is taken outside for the first time—and sold to the circus sideshow.